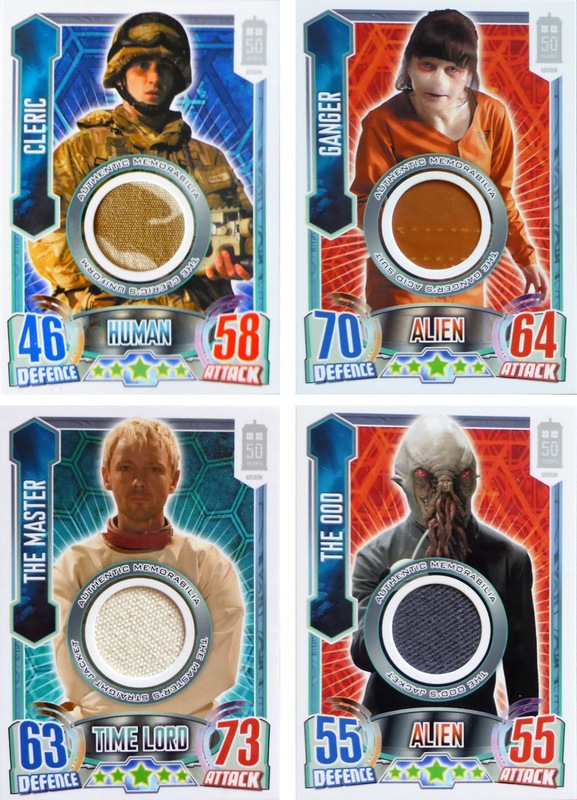 Back in 2013 as part of the 50th Anniversary celebrations, Topps Cards in the US released a number of special costume cards. 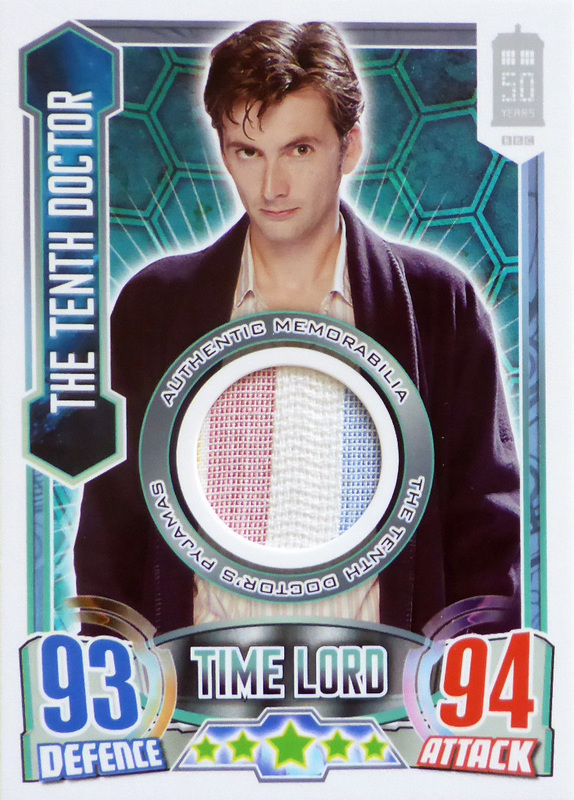 Of interest back then was a special card with part of David Tennant’s pyjamas from The Christmas Invasion! 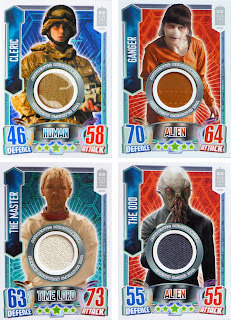 Well, it looks like they have issued some more costume cards this year, and most date from the 10th Doctor era. So far I have spotted a costume card for the Ood from The Impossible Planet. 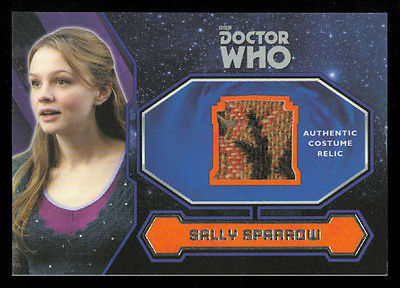 I found Sally Sparrow from Blink. As well as Rory Williams from the Eleventh Doctor era. 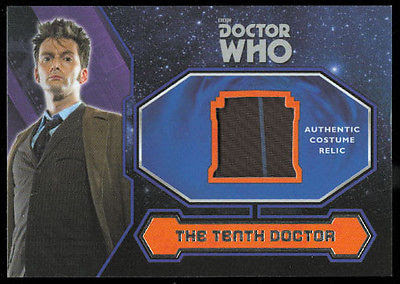 But the one to really watch out for is the Tenth Doctor’s brown suit, with a swatch of the GAP trouser fabric. 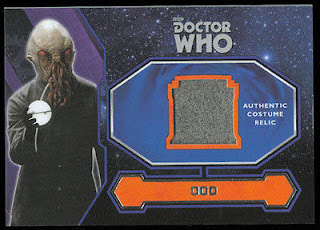 But hold on - there seems to be an even RARIER card out there! 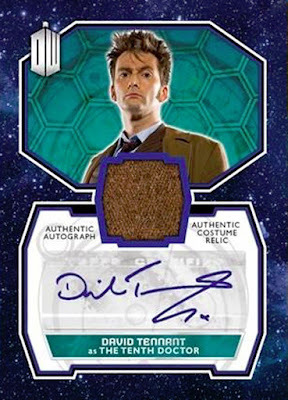 This is of The Tenth Doctor’s coat, with David Tennant’s signature as well! 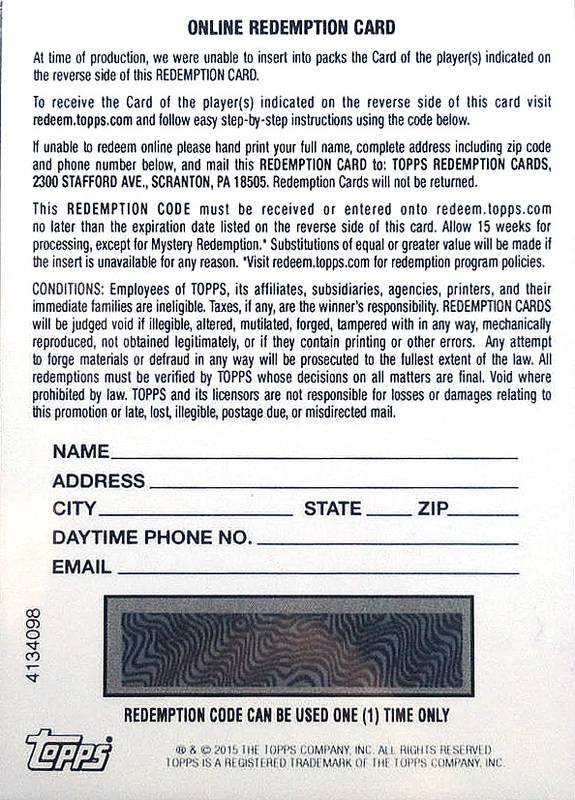 As far as I understand it, the card is only availbable via a mail-in redemption card. 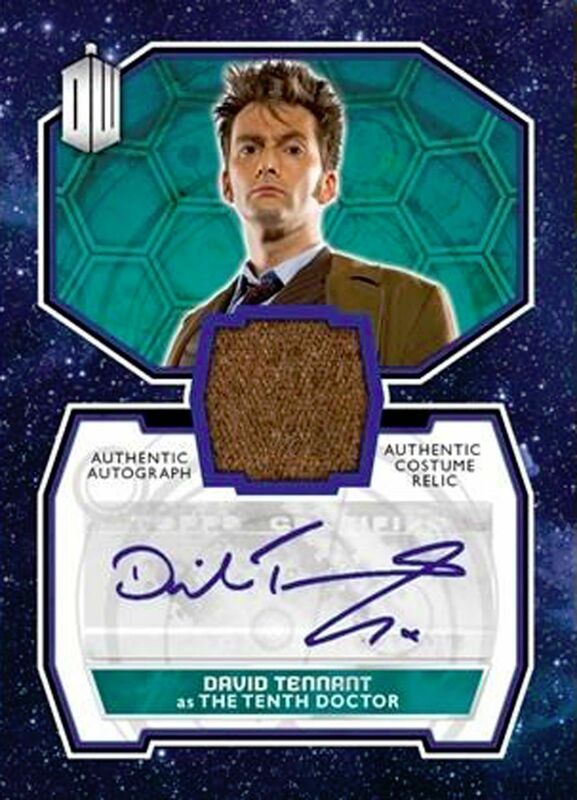 I cannot find any info on how many of each of these cards have been produced, but I’m guessing this last one has been done in super limited numbers! Anyone out there know more info? I’m not a card collector!